Today I felt like a super comfy oversized shirt was in order. 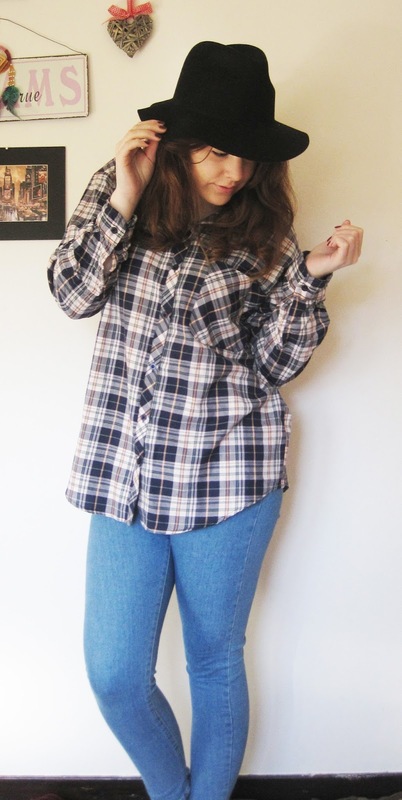 Therefore, I wore my Topshop checkered or plaid, which ever you'd prefer, shirt and my pair of vintage high waisted jeans (Joni's) again from Topshop. I then felt this was a little bland and too laid back on the sofa looking outfit, which is why I bought out my Indiana Jones inspired hat that I'm slowly becoming more inclined to wearing outdoors. I get a little too embarrassed too easily at times, which is why I think I put off wearing things such as hats that could draw more attention to me. I then decided to add a dark purple lipstick once I'd walked to work as I felt the hat wasn't needed inside as well as imaging the fellow colleagues stealing it from my head every now and then! I certainly was not up for a game of cat and mouse! 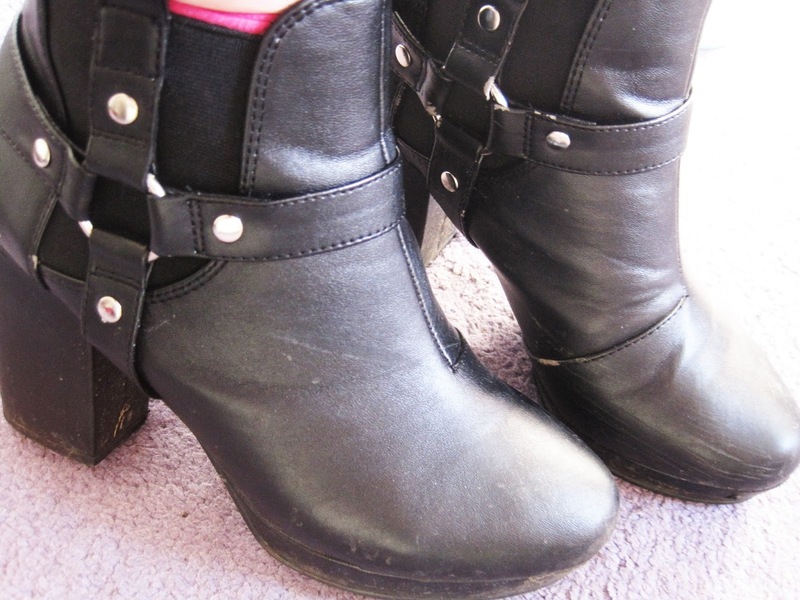 I then wore my black boots from Fashion Union which were £20. I love these boots but they are definitely not designed for long walks/wearing for a considerable amount of time. You do tend to get a little sore in the foot department as well as suffering from loss of sensation in the toes!